Arenopsaltria fullo (Walker, 1850) was formerly known as Henicopsaltria fullo. Yes, its name has changed since 1913. It was moved to a new genus. The Henicopsaltria genus still exists. Arenopsaltria fullo is found in Australia. 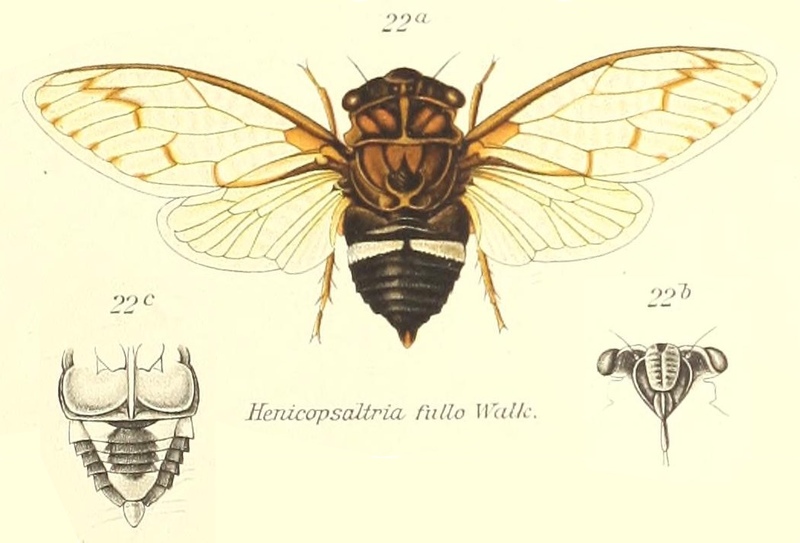 The image says Henicopsaltria fullo, but the newest name of this cicada is Arenopsaltria fullo.